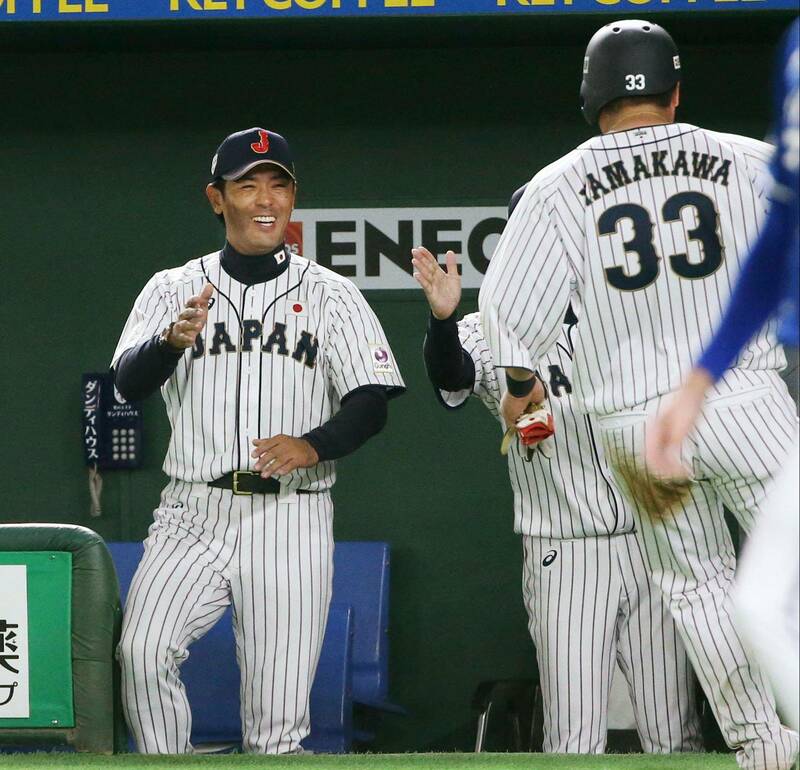 Samurai Japan manager Atsunori Inaba could’ve found himself caught between two worlds in the aftermath of Japan’s championship-clinching victory over South Korea at the Asia Professional Baseball Championship on Sunday night. Inaba, in his first turn as a manager anywhere, had just won the tournament in front of him, but the focus was on the 2020 Tokyo Olympics, the tournament he was hired in July to win. While victory in his maiden voyage in international waters as a manager was something to be legitimately pleased with, Inaba seemed to understand winning the APBC was never the goal. Whether Japan won or lost the regional tournament against South Korea and Taiwan, the goal of the event was to allow Inaba to gain managerial experience and begin to create a foundation to build upon on the road to 2020. The looming spectre of the 2020 Games hung over every decision made and every pitch thrown (by all three teams) during the tournament. For Inaba, it was both a chance to see what kind of talent he has in the Samurai Japan pipeline (all but three players on the Japanese roster were 24 years old or younger) and test his own decision-making skills as a manager. “I feel like I still need to learn a lot more, including when to change pitchers,” Inaba said. While some of the players doing the hitting and pitching may be different when the Olympics begin in a few years, Inaba will be the constant. So it was important for him to gain as much live-game experience as possible. In that sense, it was fortunate Japan had to go into extra innings during its 8-7 victory over South Korea in the opening game. Doing that gave Inaba the opportunity to manage in an international tiebreaker situation, with the APBC placing runners on first and second to start innings after the ninth. Because it was a tight game, he also got a crash course in bullpen management. He didn’t make all the right decisions during Japan’s three games, all wins, but it was important for the Samurai Japan apparatus that Inaba get his feet wet. He noted, for instance, a failed squeeze bunt that turned into a double play during the final as something he could learn from. Japan’s failure to add to its 2006 and 2009 World Baseball Classic titles — the nation has fallen at the semifinal stage of the past two editions of the WBC — has put even more importance on capturing Olympic gold. That the Olympics are on home soil only ramps up the pressure even more. Inaba may not have much managerial experience, but he was a Samurai Japan coach under Hiroki Kokubo for a few years, which is more international coaching experience than his three predecessors, Kokubo, Koji Yamamoto and Tatsunori Hara (who won the 2009 WBC) had before taking the reins. So he has an understanding of the international game. He just needs to log the hours in the dugout and gain more experience. That will come as the national team plays more — Inaba is already set to manage Japan against Australia in a pair of exhibitions on March 3 and 4 in Japan — the next couple of years. The APBC was a good first step for Inaba and Japan. It’s too early to make many assumptions about what kind of job he’ll ultimately do, but you’ve got to start somewhere, and starting off with a trophy is never a bad thing.